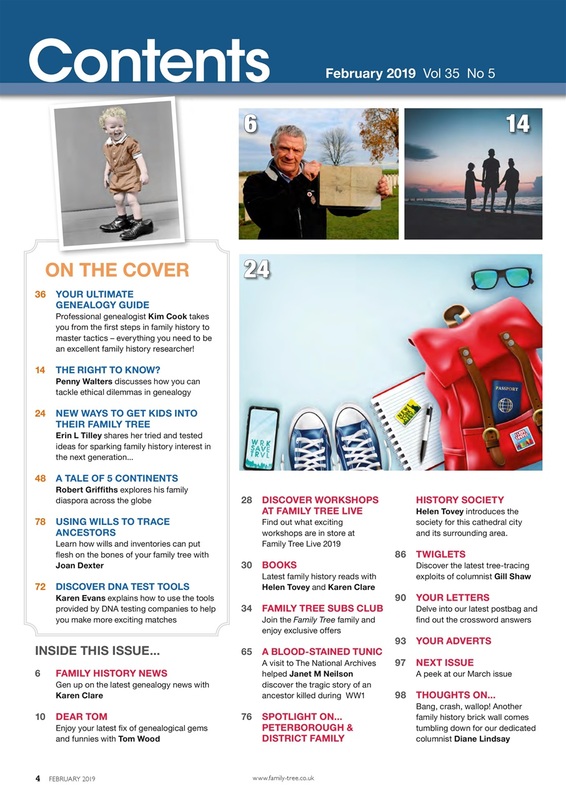 What are your family history goals for 2019? 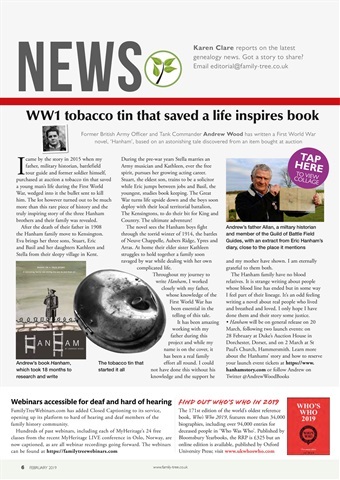 Perhaps you'd like to get your family history notes more organised? 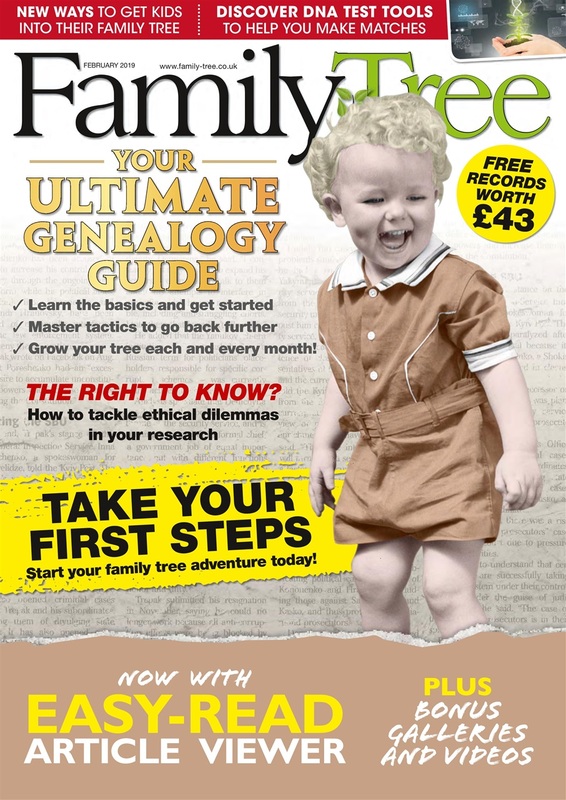 To be sure you're searching the right ancestors? 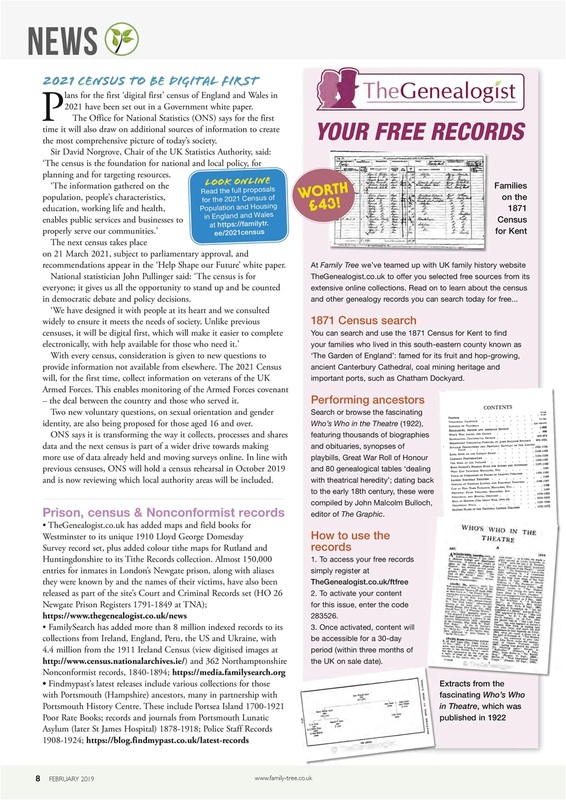 To take your research back further? 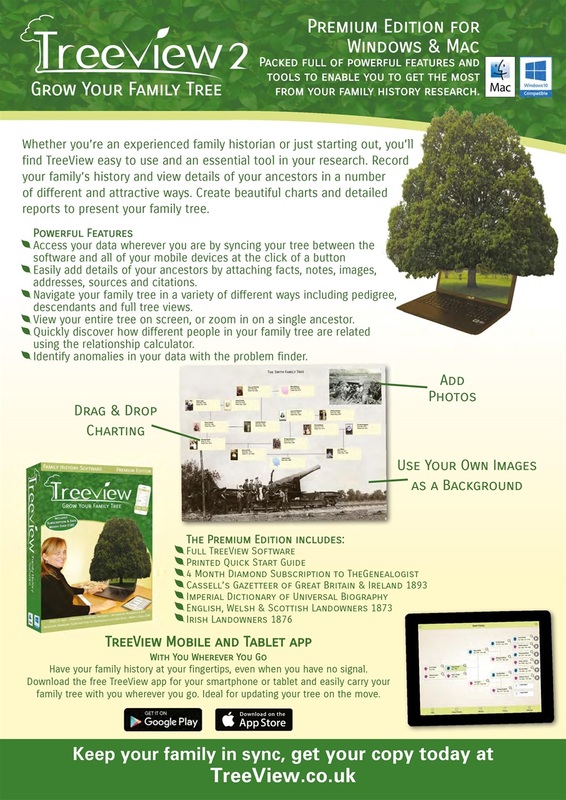 To look into your family's lives in more depth? Or perhaps your goal is simply to take that first step and start finding out about your family tree? 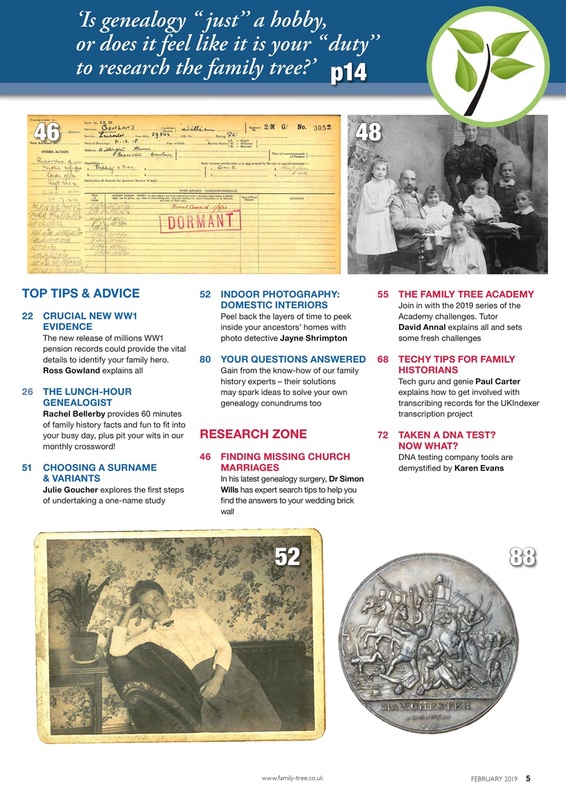 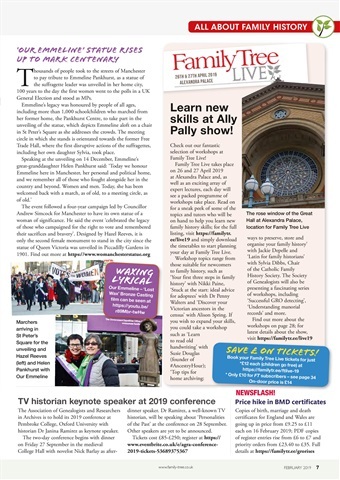 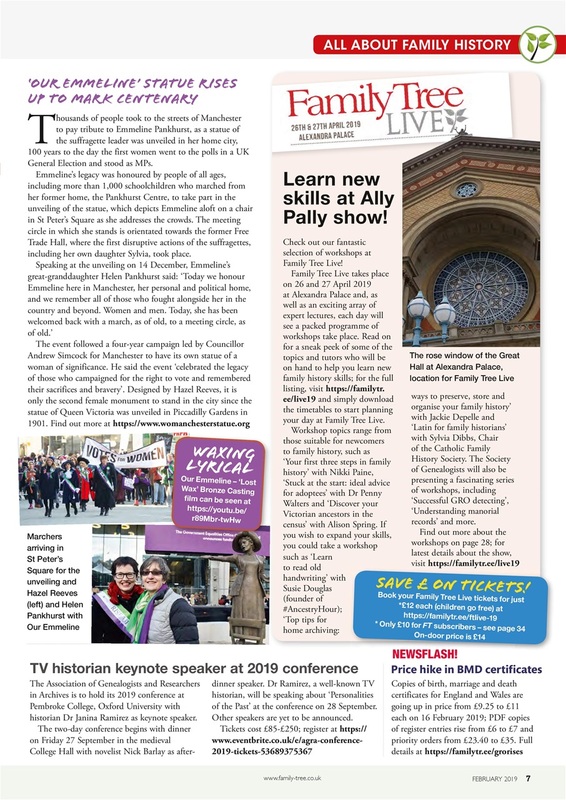 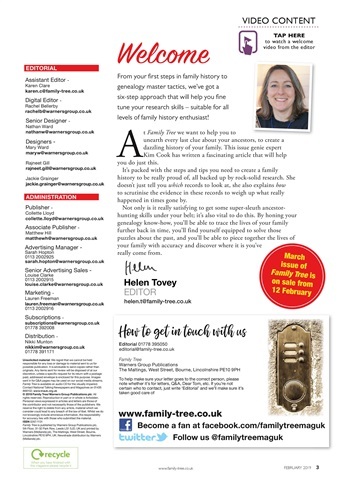 Our ultimate guide - in this, the Feb issue of Family Tree - has advice to help everyone become the best genealogist they can be... from the newly curious, to those with many research discoveries under their belt already, you're sure to find it a valuable read. 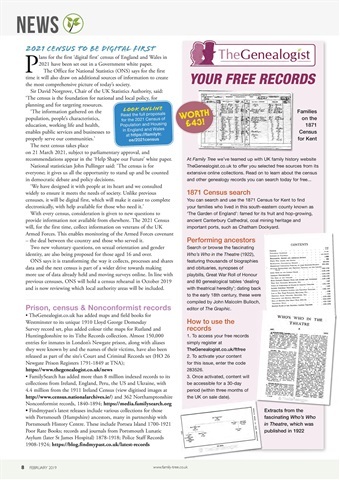 Happy researching!